A quick reminder that the New Wait List requirements for ALL Community Addiction Services Providers goes into effect July 1st, 2017. Beginning July 1, 2017, Ohio Revised Code section (ORC) 5119.362 requires that all community addiction services providers maintain a waiting list for opioid and co-occurring drug addiction services and recovery supports. The waiting list data is due to the department monthly by the 30th day. The waiting list data collected in July would be due to the department by August 30. Here is a link to ORC 5119.362: http://codes.ohio.gov/orc/5119.362. ORC 5119.363 requires OhioMHAS to adopt rules regarding the duties of community addiction services providers related to the waiting list. 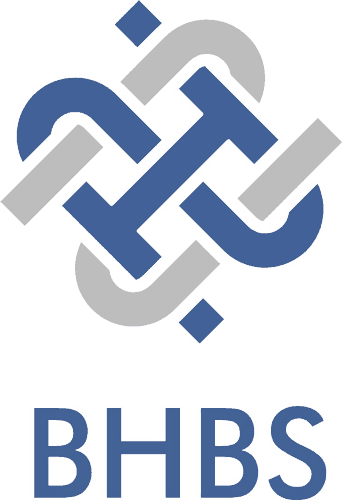 Click here to access a draft of the administrative rule and the appendix that have been filed with JCARR. Instructions for the waiting list along with a reporting template that captures the required elements of the administrative rule and statute have been developed. Click here to access the waiting list instructions. Click here to access waiting list reporting template. Providers may submit the information to OhioMHAS using the form or they may send the data in through an extract. If you plan on utilizing an extract please contact Jim Hughes at James.Hughes@mha.ohio.gov. OhioMHAS has developed a training related to the waiting list requirements which can be found at https://www.youtube.com/watch?v=QKGzAOh64Lk&feature=youtu.be. Click here for the training PowerPoint presentation. 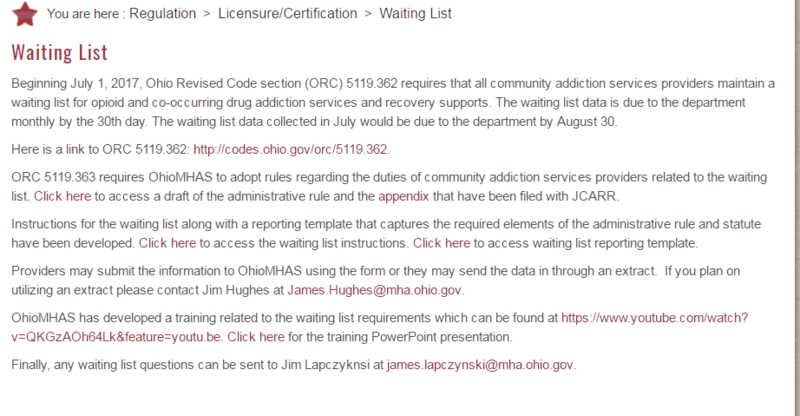 Finally, any waiting list questions can be sent to Jim Lapczyknsi at james.lapczynski@mha.ohio.gov. A link to the post on OhioMHAS and the appendix A document are listed in red.